Visual Studio Code>Other>markdown image pasteNew to Visual Studio Code? Get it now. 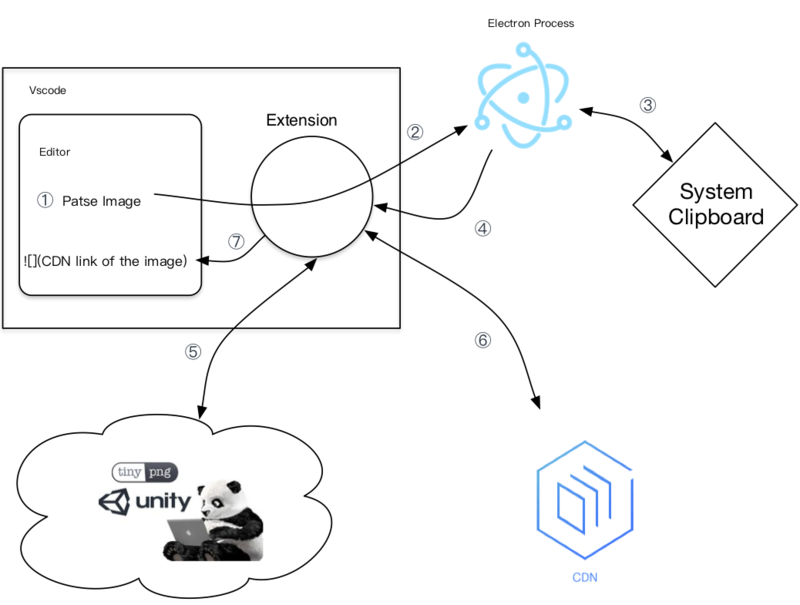 The extension spawn a electron process for read image in clipborad via electron api clipboard.readImage. extension process communicate with electron process via node-ipc. send the image to tinyPng for size optimization. Install the electron ipc server app. This extension is made originally for writing my personal techblog, which means the storage and network access cost to the CDN should be small. You should not use this extension to upload pitures with mass access to github, which may exceed github pages limits. if cdn is not configured correctly or the editing file is not a markdown file, the picture will be paste to current folder of the editing file. if you use github as cdn in China, I suggest you config a proxy. Clone the porject, and open it in vscode. press F5 to start debug mode after npm install the dependency. At last, run npm run package to package a extension vsix file, and install it to your vscode for test. need to install a extra node module, electron-image-ipc-server. if we bundle the electron in the extension, the extension size will be more than 70M. electron-image-ipc-server is started as a long live electron process by the extension.